paGO Commerce makes managing your e-commerce site easy. Ever had the thought of putting your head through the wall, frustrated with how complex the software developers made it to configure your e-commerce site? Why do they make it so complex, when it should be so freaking simple!!! When we created paGO Commerce, we listened to the pain points people would share with us about other e-commerce carts. We learned from their stories of frustration, using e-commerce carts that were tedious to use and time consuming to operate. What’s the point of sales automation if it’s a pain in the neck to operate? Ease of use for the store owner has always been priority one on our requirements list when developing paGO Commerce. We made store set-up and ongoing management EASY. 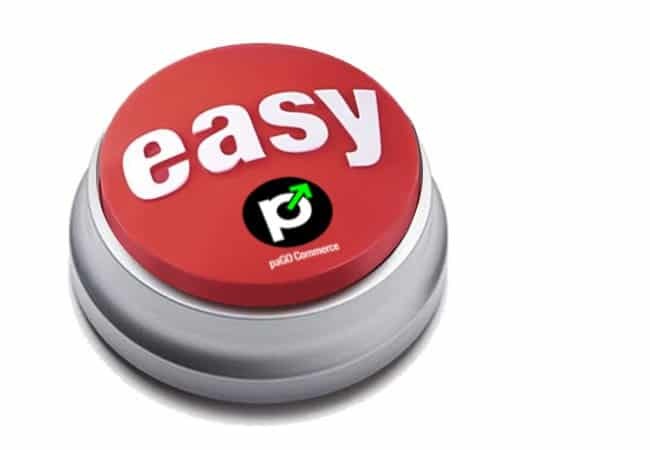 Boy, I wish we came up with the “Easy Button,” before Staples, because that would be the button you’d always hit within paGO Commerce—because it’s so easy to set up and manage. We focused on usability throughout the paGO platform, engineering paGO Commerce to be simultaneously easy and powerful. There’s no trade-off, sacrificing power for ease of use, or vice-versa. It’s got both. We didn’t take any shortcuts when we designed paGO Commerce e-commerce solution for Joomla! The Main Configuration – This is the engine of your store—what keeps the lights on at night, and drives all aspect of your shopping cart. We wanted to make this feature rich, BUT at the same time, simplified. Don’t ask me why, but personally, this is my favorite part of paGO Commerce. The power here is just incredible! And, it’s SIMPLE. This is the interface screen in which you have the ability to control what currency is used globally, on the front end and back end, as well as your attributes such as weight, size of the unit, type of items, etc. With currency, you’re able to set your default currency (e.g. US Dollars). So, under this scenario, all your products are being sold in USD; but what happens if you also sell products to Mexico, Canada, and/or European nations? In that case, on the back end, you can clearly specify those currency types accepted; then notice on the front end, your visitors can clearly see (via a module that’s displaying the information) what all products are offered store wide, in their particular currency. What’s even better is, all the currency conversion is done in real time, giving you more power to easily sell globally, with no borders! VirtueMart can’t do that! Currency conversion is easy with paGO Commerce, and similarly, so is international weight conversion. Whether using the metric system or U.S. customary system, you need to be able to dictate which weight is applicable. No matter what part of the world your visitors are from, these conversions are made easily within the paGO e-commerce cart. This is a great feature. We made it easy for you to choose whether you want to sell downloads, tangible items and more, by setting up the system via this area. Using paGO Commerce, it’s easy to pick how you want to work within your business on what measurement you need to focus on. From the back end admin panel, there’s no need for you or your store administrator to know code, or be forced to play within the code to make changes. You all can focus on the more important stuff — SELLING! With the help of all our contributors, we’re doing our best to make your work easier for you, providing you with a great e-commerce tool to make more money, while achieving greater peace of mind. Thank you for checking into what’s happening in the growing paGO Community. We look forward to servicing you in any need you may have for your paGO business. 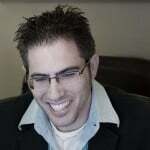 This entry was posted in E-Commerce, paGO Commerce and tagged cart, e-commerce, ecommerce, eCommerce site, paGO, paGO Commerce on July 29, 2015 by Michael Pignataro.